1. Start by making the chicken meatballs. Combine all ingredients and mix. 2. Heat a skillet on medium with 1 tbsp of olive oil. 3. Cook meatballs in the skillet, turn regularly to cook evenly. 4. 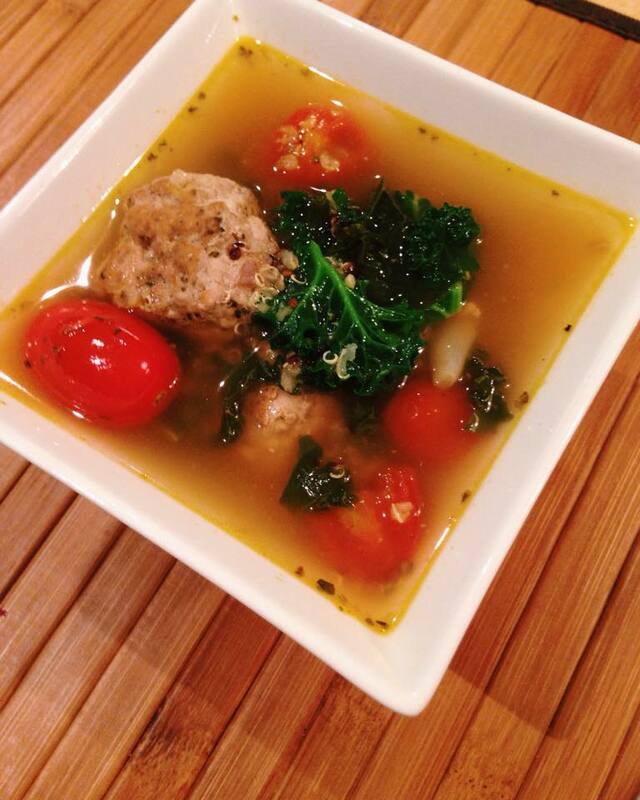 While the meatballs are cooking, in a large soup pot add the vegetable broth, 1/2 cup quinoa and put on medium heat. Add in the 2 bay leaves and crushed garlic. 5. 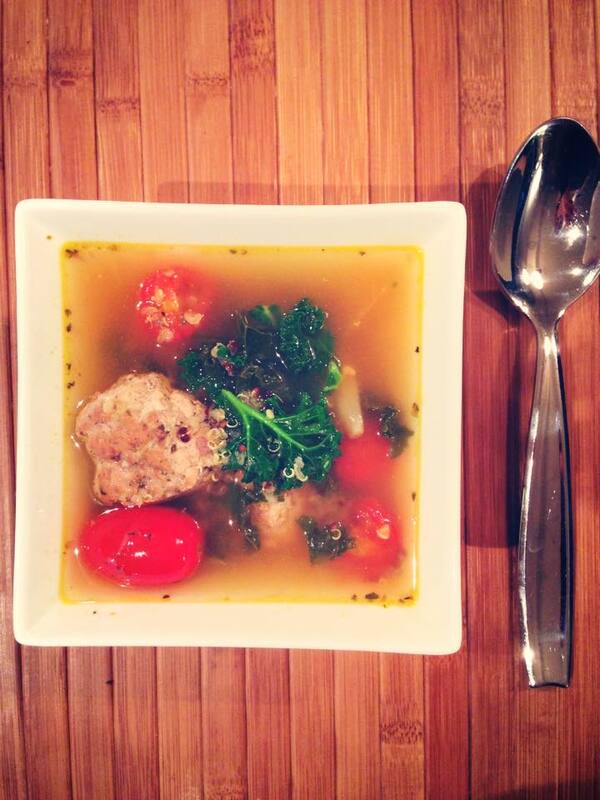 When meatballs are cooked (no pink throughout) add them to the soup pot. 6. In the same skillet, add 1 tbsp of olive oil and sauté the red onion and grape tomatoes for 7 minutes. 7. Add the tomatoes, onion, and italian seasoning to the soup pot. 8. Allow to simmer on low-medium heat for ~30 minutes or more.